SEB's first microfinance fund reached 6.1 million entrepreneurs – of which more than half were women – in 27 different emerging markets during the period July 2013 to August 2018. The total return during the period amounted to 52.9 per cent on the 70 million dollars that the fund managed. These are some key highlights from a final report on the fund's results that SEB recently published. The fund, which is now closed, transferred capital from institutional investors primarily active in SEB's home markets to just over 60 institutions in 27 emerging countries. These local institutions, in turn, provided financial services and products to 6.1 million underserved entrepreneurs who, according to the report, have sustained 17.6 million jobs. “The purpose of microfinance is to provide access to capital to entrepreneurs excluded from the mainstream financial system. 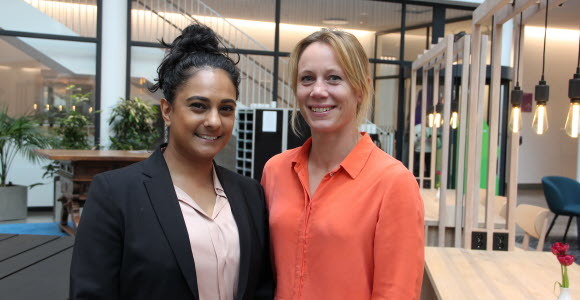 The goal is to improve social and economic development in lower-income economies where financial markets would otherwise not go,” says Hetal Damani who manages SEB’s microfinance funds together with Camilla Löwenhielm. The report highlights examples of entrepreneurs that have borrowed capital from microfinance institutions in the fund to start or grow their business. One example is R.D. Ramyalatha in Sri Lanka who started manufacturing brushes in 2009 using financing from a microfinance institution. She has renewed and expanded the loans gradually and bought machines that improve production. Now she has 14 employees. She borrowed between 220 and 660 dollars from a local institution financed by SEB's fund . Annualised loan losses over the life of the fund amounted to only 0.4 percent of the assets under management. SEB currently has several active microfinance funds that reach around 23 million entrepreneurs.